Terrific buy in sought after Manor Woods! 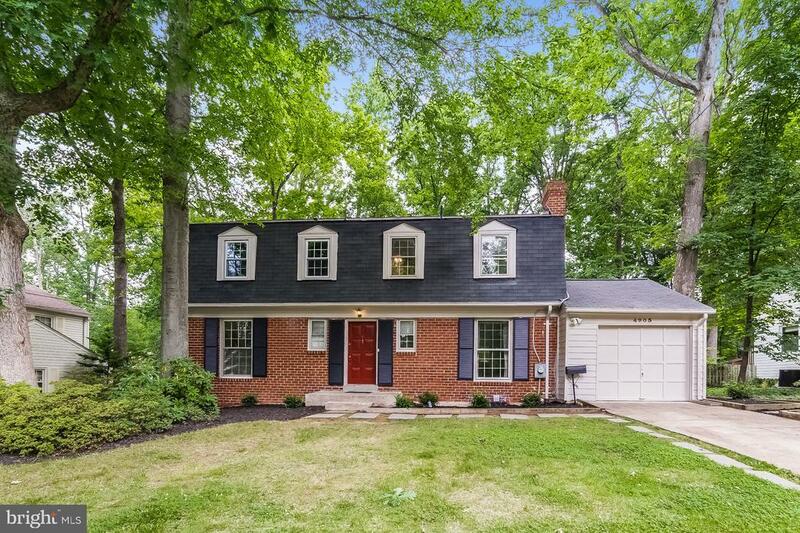 Great colonial design with 4 bedrooms + den, 2 full and 2 half baths, step down living room, large bedrooms & more! Nice kitchen renovation with granite, upgraded cabinets, high end stainless steel appliances including Viking gas range & eating area fireplace! Finished basement with new flooring, wet bar rough-in & separate den! Hardwood floors on main and upper levels! Rear deck with 2 patios backing to greenery and the Manor Park community! New AC unit in 2015, roof in 2009, plus brand new landscape and front door! Convenient location just 1/4 mile from #28! Directions: North on #28 from downtown Rockville, pass Bauer Shopping Center, 1/2 mile to right on Bel Pre Rd, 1/4 mile to house on left.